While at our grandchildren’s ballgame the other night, I observed my son-in-law seize a teachable moment. My husband and I had front row lawn chairs, as we watched Jack, who is seven, play against his sister, Julia, who is five. It was the “big game”and Jack had already set the stage for a win against his sister’s team. Funny, at this level, they don’t even keep score. We watched and cheered, along with other family members, as Jack and Julia both hit the ball at their at-bats. Jack slugged the ball deep into the outfield twice, and boy was he excited, and so were we. As Jack slid into home plate, he proudly paraded by the fence as his fans applauded. As one grandpa put it, “He’s show-boating.” We later found out from his mother that Jack was just imitating his favorite ball team, the KC Royals. Jack’s dad took this moment to quickly pull Jack aside and explain to him about having a humble spirit, and not to draw so much attention to himself. I’m not sure what all was said, but I can tell you one thing, our grandson loves and respects his earthly father, who is teaching Jack and his other two children to respect their Heavenly Father. In the parent study, Effective Parenting In A Defective World, the author, Chip Ingram, instructs parents to keep their focus clearly on the bulls-eye (Jesus and God’s principles), rather than carelessly missing the target by following the world’s standards. I am thankful that my son-in-law is training his children to become like Jesus; in this instance, humble. 2 Therefore if you have any encouragement from being united with Christ, if any comfort from his love, if any common sharing in the Spirit, if any tenderness and compassion, 2 then make my joy complete by being like-minded, having the same love, being one in spirit and of one mind. 3 Do nothing out of selfish ambition or vain conceit. Rather, in humility value others above yourselves, 4 not looking to your own interests but each of you to the interests of the others. “Praise the Lord. Give thanks to the Lord, for he is good; his love endures forever” (Psalm 106:1). Thanksgiving is a time to remember all the blessings in our lives. Let’s begin now…and continue all year long. Our daughter started a new Thanksgiving tradition last year. 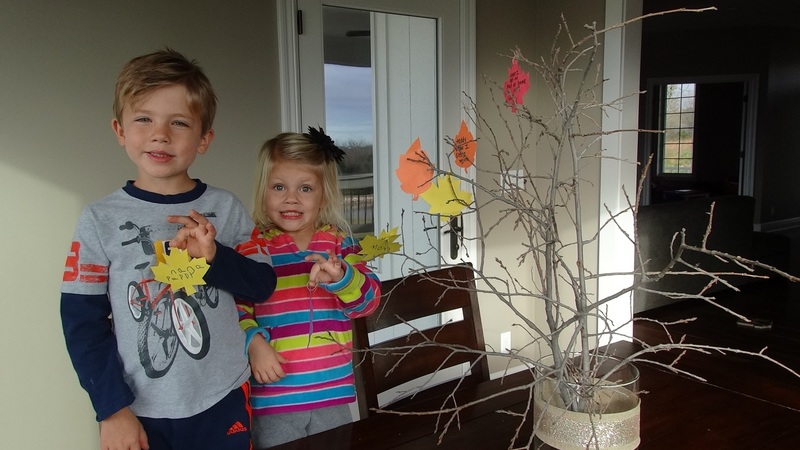 Their family makes a Thankful Tree. The children find a tree branch and place it in a homemade container and then cut out leaves made from construction paper. Each day the children and their parents write something they want to thank God for on a leaf and then hang the leaves on the tree branch. — Adapted from Changing Seasons In Me, article originally written Nov. 13, 2014. I’m not fond of the winter months. In fact, my wardrobe is indicative of this, having many more summer clothes than winter. My hands shiver when walking down the freezer aisle at the grocery store…in the summer! A thankful spirit often requires a different or new perspective on life’s familiarities. Otherwise, we may find ourselves taking for granted the blessings right in front of us….our family, the changing colors of autumn, a red bird perched on a snow-covered branch, and so on. While driving home from work the other day, my husband called and told me to look outside at the beautiful sunset. I ran out on our deck, only to be disappointed I had missed the window of opportunity. To keep our children from missing the windows of opportunity, we (parents and grandparents) have the awesome responsibility to train our children to have watchful eyes, for the many blessings we receive each day. This takes intentionality! Children and adults not fully surrendered to Christ, are naturally self-absorbed and can easily miss the joy God intends. Looking at the world through eternal lenses portrays true and lasting blessings. The following story depicts two diverse perspectives from ten men who received the same blessing. 14 When he saw them, he said, “Go, show yourselves to the priests.” And as they went, they were cleansed. 15 One of them, when he saw he was healed, came back, praising God in a loud voice. 16 He threw himself at Jesus’ feet and thanked him—and he was a Samaritan. After reading and contemplating the two varying responses to the lepers’ healing, ask yourself how you may have responded? Would it be more like the nine, or the one? I’d like to propose two diverse perspectives—the temporal and the eternal. “The nine” cleansed lepers missed their window of opportunity to receive an even greater blessing, far beyond their physical healing. Here are a few possible reasons “the nine” didn’t go back to thank Jesus. Being in isolation for so long, their minds were solely focused on returning to their former lifestyle. They may have thought Jesus was simply doing what He was “supposed” to do…heal people. Therefore, they took their healing for granted. “The one” leper who came back to thank Jesus not only recognized the miraculous healing in his life, he experienced the greater blessing—the presence of a loving and merciful Savior. His perspective was filled with overflowing gratefulness, a direct result of being Christ-focused rather than self-absorbed. The following quotes are from the book, Love Made Perfect—Foundations for the Holy Life (1997), authored by Dr. William M. Greathouse (April 29, 1919 – March 24, 2011), minister and emeritus general superintendent in the Church of the Nazarene. To help our children develop a grateful heart like the “one leper,” I believe we must first explain that everyone is born with a sinful nature. The sinful nature will naturally dispose every human heart toward being self-absorbed. The only cure for a self-absorbed life is full surrender to Christ. I recommend reading Dr. Greathouse’s book, Love Made Perfect, for a fuller understanding of loving God with one’s whole heart, strength, and mind—a love perfected in us through Christ alone. To take time out of one’s busy schedule to enjoy or appreciate the beauty of life. Take time to thank God throughout your day. Don’t let the busyness of your schedule or life’s distractions keep you from missing out on the blessings of life. Begin by thanking God for your precious children, spouse, friends, church family, co-workers, neighbors, etc. Practice pointing out the blessings of life to your children, as you drive along the road. The changing seasons exude with God’s blessings. My new perspective of winter: I love sitting by a fire on a cold wintry day with my husband. Building snowmen with our grandchildren imparts cherished memories of innocent smiles and silly giggles into my heart. Christmas brings the greatest blessing of all, as our family gathers together to sing happy birthday to Jesus. God warms my heart throughout the winter. Thanksgiving tablecloth. Using the same tablecloth every year, each family member writes what they are thankful for on the tablecloth. The little ones love to make turkeys as they trace around their hands. Use permanent fabric markers or pens. Indian Corn: Our grandchildren help me place several kernels of Indian corn by each table setting. Before eating our meal everyone shares something they are thankful for and then they place a kernel of corn into a decorative basket. Our basket goes around the table several times because the children have such thankful hearts. The first Sunday of Advent is November 29 this year (2015). There are limitless resources available to help families prepare their hearts to celebrate Christ’s birth. The Advent wreath is one of my favorites. “For I was born a sinner—yes, from the moment my mother conceived me” (Psalm 51:5). Children speak from the honesty of their hearts, even when it reflects their sinful nature. 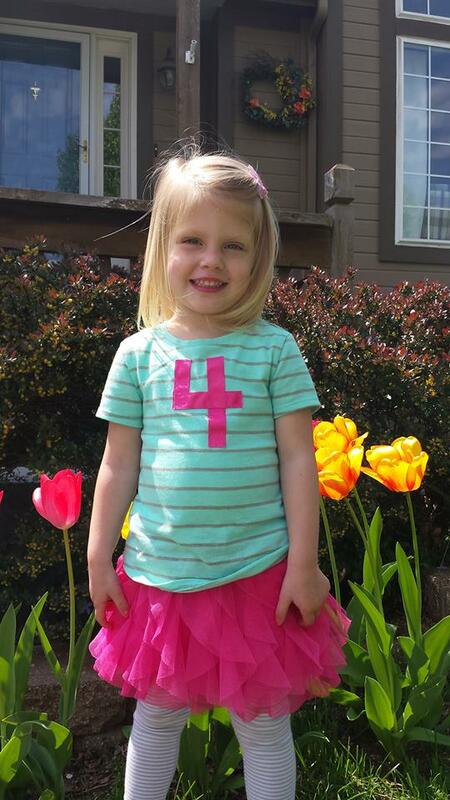 While finishing eating our cupcakes for Julia’s 4th birthday, Julia surprised me with these words, “Nana, sometimes I do mean things.” Prior to our little party, Julia had been in our backyard running water from the hose, making a puddle to jump in with her sparkly new shoes. Her momma caught her and gave her a little talking to about her misbehavior. No spanking though, since it was her birthday. I later gave her four affectionate old-fashioned birthday spankings and a pinch to grow on…fondly recalling my childhood memories. Now back to Julia’s concern over her naughtiness. I asked her, “Why do you think you do mean things?” She quietly answered, “I don’t know, I just do.” Okay, got it! Julia’s sinful nature is becoming evident to her and to others. Because Julia has received the primary teaching of sin from her parents, and by the faithful conviction of God’s Holy Spirit, Julia is clearly beginning to recognize the reality of her inherited bent toward sin. With her pretty blue eyes focused upon mine, I responded to Julia this way. “I know that you really don’t want to do mean things, but the only way that you will be able to stop doing them, is to ask Jesus to help you.” As she seemed to experience a small sense of relief, I told her I would be praying for Jesus to help her. My prayer for Julia is the same one that I pray for all my grandchildren: That they will come to know Jesus at a young age, to love Him fully, to obey His Word, and to serve Him faithfully all the days of their lives. I believe that teaching children who God and Jesus are comes more naturally for most parents/grandparents, than it does to teach them about the third person in the Trinity, the Holy Spirit. While recently watching the made for T.V. 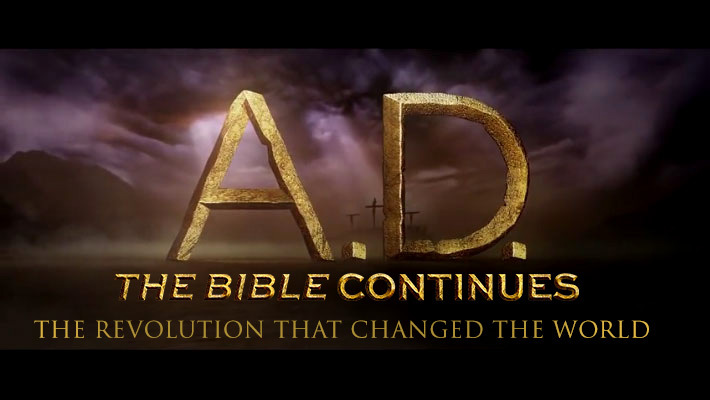 miniseries, A.D. The Bible Continues, my spirit was reviatlized by the dramatization of the Acts of the Apostles being infilled with the power of the Holy Spirit. This same Holy Spirit (God’s Spirit) that was poured out upon those early believers is the same Holy Spirit who desires to infill every Christ-follower today. We need to teach our children the only way to work out the “meanness” in our lives, is to receive Jesus as our personal Savior…to repent of our sins, and allow the Holy Spirit to begin His cleansing work in our lives. Somewhere along their spiritual journey, new believers sense an internal struggle–the “desire” to sin. This desire comes from the original sin nature, (inherited sin of Adam). The only remedy for the sinful nature is heart cleansing by the infilling (or baptism) of the Holy Spirit. Teaching our children to understand the difference between original sin (nature) and personal acts of sin is a vital part of training in Christian holiness (perfect love). 22 reject every kind of evil. It is true, God is faithful to cleanse (purify) the heart from original sin as we consecrate or surrender ourselves fully to Him. He promises to replace the inbred “desire to sin” with an abiding holy-heart desire to please our Heavenly Father above all other. Of course, we will continue to be tempted to sin, but with a cleansed heart, have the power NOT to sin. The greatest joy of Christian parents is realizing the cleansing power of the Holy Spirit in the hearts of their children. Sanctification empowers every believer to serve Christ with a joyful heart. When David sinned against God, he acknowledged that he was “born a sinner.” And when David repented of his personal sin against God, he sought to be fully cleansed, or purified. Psalm 51: A psalm of David, regarding the time Nathan the prophet came to him after David had committed adultery with Bathsheba. 1 Have mercy on me, O God, because of your unfailing love. Because of your great compassion, blot out the stain of my sins. 2 Wash me clean from my guilt. Purify me from my sin. 3 For I recognize my rebellion; it haunts me day and night. 4 Against you, and you alone, have I sinned; I have done what is evil in your sight. You will be proved right in what you say, and your judgment against me is just. [a] 5 For I was born a sinner—yes, from the moment my mother conceived me. 6 But you desire honesty from the womb,[b] teaching me wisdom even there. 7 Purify me from my sins,[c] and I will be clean; wash me, and I will be whiter than snow. 8 Oh, give me back my joy again; you have broken me— now let me rejoice. 9 Don’t keep looking at my sins. Remove the stain of my guilt. 10 Create in me a clean heart, O God. Renew a loyal spirit within me. 11 Do not banish me from your presence, and don’t take your Holy Spirit[d] from me. 12 Restore to me the joy of your salvation, and make me willing to obey you. 13 Then I will teach your ways to rebels, and they will return to you. 14 Forgive me for shedding blood, O God who saves; then I will joyfully sing of your forgiveness. 15 Unseal my lips, O Lord, that my mouth may praise you. 16 You do not desire a sacrifice, or I would offer one. You do not want a burnt offering. 17 The sacrifice you desire is a broken spirit. You will not reject a broken and repentant heart, O God. 18 Look with favor on Zion and help her; rebuild the walls of Jerusalem. 19 Then you will be pleased with sacrifices offered in the right spirit—with burnt offerings and whole burnt offerings. Then bulls will again be sacrificed on your altar. 5 This is the message we heard from Jesus[c] and now declare to you: God is light, and there is no darkness in him at all. 6 So we are lying if we say we have fellowship with God but go on living in spiritual darkness; we are not practicing the truth. 7 But if we are living in the light, as God is in the light, then we have fellowship with each other, and the blood of Jesus, his Son, cleanses us from all sin. Resources for teaching children the basic beliefs of Christianity and the doctrines of the Church of the Nazarene. Several years ago, a friend made a ceramic crucifix for us. The crucifix depicts an image of Jesus bleeding from his side, while dying on the cross. 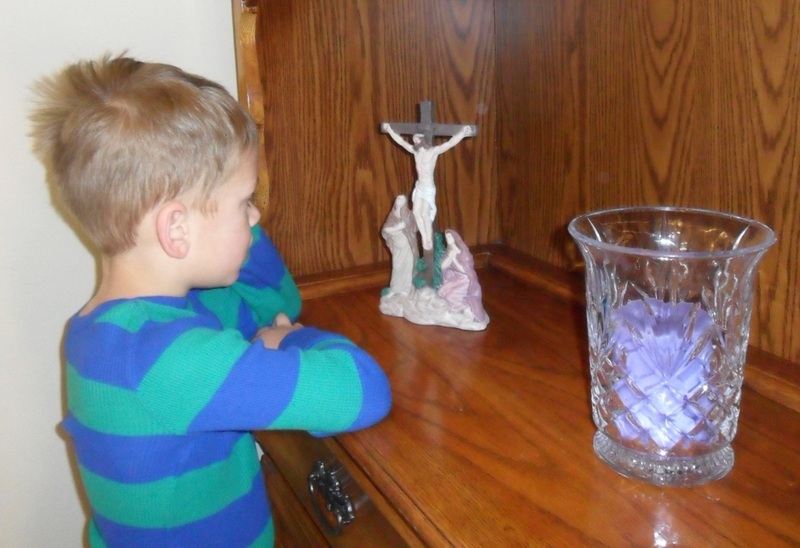 Since that time, I set the crucifix out in our home during the Lenten season. It serves as a visual reminder of Christ’s sacrifice for me, our family, and for the entire world. Jesus suffered and died a horrible death, so that we could be reconciled into a loving relationship with our Heavenly Father. “For Christ also suffered once for sins, the righteous for the unrighteous, to bring you to God. He was put to death in the body but made alive in the Spirit” (1 Peter 3:18). The first week passed and nobody noticed it, or at least they didn’t mention it. 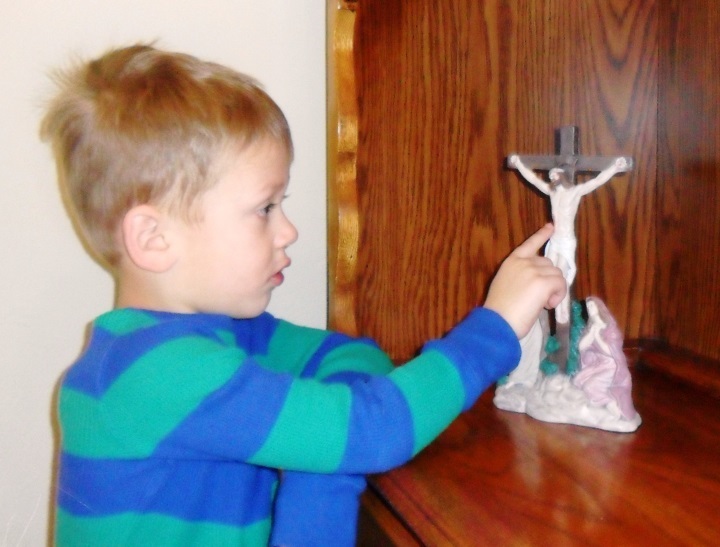 A week later, our four-year-old grandson, Max, pointed to the crucifix and said somberly, “Nana, look, there’s blood on Jesus.” We walked toward the crucifix, and I said, “Yes, isn’t this sad?” We then dialogued about Jesus dying on the cross for our sins. The following week Max asked his mother to come and see Jesus on the cross. As they walked over to the hutch Max said, “Look mom, Jesus is bleeding. He died on the cross.” There was a slight pause,–then the most beautiful declaration of “He is risen!” resounded from my precious grandson’s mouth: “But Jesus isn’t dead anymore!” My heart began to melt as Max realized the Easter message with such an exuberant simplistic faith. I have to believe that this special encounter between our Savior and Max put a big smile on the face of God. Each Easter my heart is full of thankfulness and gratitude to our LORD, who loved me, our family, and the entire world, enough to reconcile me (a sinner), to the One True God, through His (Jesus’) death and resurrection. I encourage parents to display Christian symbols, especially the cross/crucifix, pictures, and other home décor inscribed with Scripture, around their homes. This is a simple, yet very effective way to share the love for Jesus with family and guests. 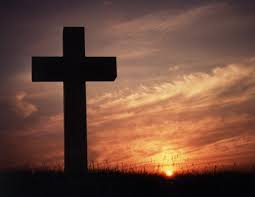 The cross of Jesus Christ symbolizes the epitome of love and self-sacrifice. “Greater love has no man, than that he lay down his life for his friends” (John 15:13). Jesus’ death on the cross is the ultimate sacrifice of love that reconciles us to God. Crosses and crucifixes are powerful visual reminders of God’s love and serve as a witness of hope to the world. I invite my friends to reflect upon God’s love while reading through the following Scripture and notations. “Therefore, since we have been justified through faith, we have peace with God through our Lord Jesus Christ, through whom we have gained access by faith into this grace in which we now stand. And we boast in the hope of the glory of God. Not only so, but we also glory in our sufferings, because we know that suffering produces perseverance; perseverance, character; and character, hope. And hope does not put us to shame, because God’s love has been poured out into our hearts through the Holy Spirit, who has been given to us. The brevity of Mark’s report is striking. Jesus chose to endure death fully conscious rather than drink the sedative offered him (see Pr 31:6). The division of his garments (see Ps 22:18) underscores the humiliation of the Crucified One. The notice affixed to the cross, the taunts of the passersby, and the mockery of the chief priests and teachers of the law are all ironic. They communicate a fundamental truth that would not have been lost to the Christians of Mark’s day: In the suffering and weakness of the Cross, God’s power is manifest. Wanting to satisfy the crowd, Pilate released Barabbas to them. He had Jesus flogged, and handed him over to be crucified” (Mark 15:15). A certain man from Cyrene, Simon, the father of Alexander and Rufus, was passing by on his way in from the country, and they forced him to carry the cross. They brought Jesus to the place called Golgotha (which means “the place of the skull”). Then they offered him wine mixed with myrrh, but he did not take it. And they crucified him. Dividing up his clothes, they cast lots to see what each would get. It was nine in the morning when they crucified him. The written notice of the charge against him read: the king of the Jews. They crucified two rebels with him, one on his right and one on his left. Those who passed by hurled insults at him, shaking their heads and saying, “So! You who are going to destroy the temple and build it in three days, come down from the cross and save yourself!” In the same way the chief priests and the teachers of the law mocked him among themselves. “He saved others,” they said, “but he can’t save himself! Let this Messiah, this king of Israel, come down now from the cross, that we may see and believe.” Those crucified with him also heaped insults on him. At noon, darkness came over the whole land until three in the afternoon. And at three in the afternoon Jesus cried out in a loud voice, “Eloi, Eloi, lema sabachthani?” (which means “My God, my God, why have you forsaken me?”). Someone ran, filled a sponge with wine vinegar, put it on a staff, and offered it to Jesus to drink. “Now leave him alone. Let’s see if Elijah comes to take him down,” he said. With a loud cry, Jesus breathed his last. But when they looked up, they saw that the stone, which was very large, had been rolled away. As they entered the tomb, they saw a young man dressed in a white robe sitting on the right side, and they were alarmed. “Don’t be alarmed,” he said. “You are looking for Jesus the Nazarene, who was crucified. He has risen! He is not here. For we know that since Christ was raised from the dead, he cannot die again; death no longer has mastery over him. The death he died, he died to sin once for all; but the life he lives, he lives to God. May the remembrance and affirmation of Christ’s death and resurrection bless you and your family this Easter. All Scripture is NIV unless otherwise stated. 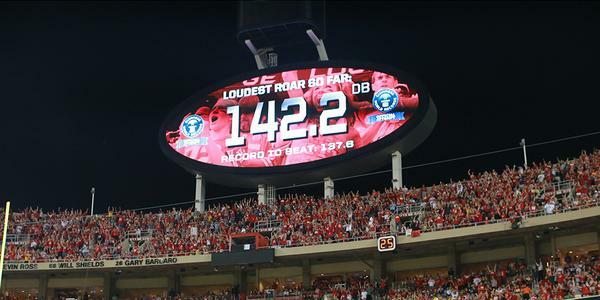 Football – On September 29, 2014, the Kansas City Chiefs fans reclaimed the record for loudest crowd roar at a sports stadium. 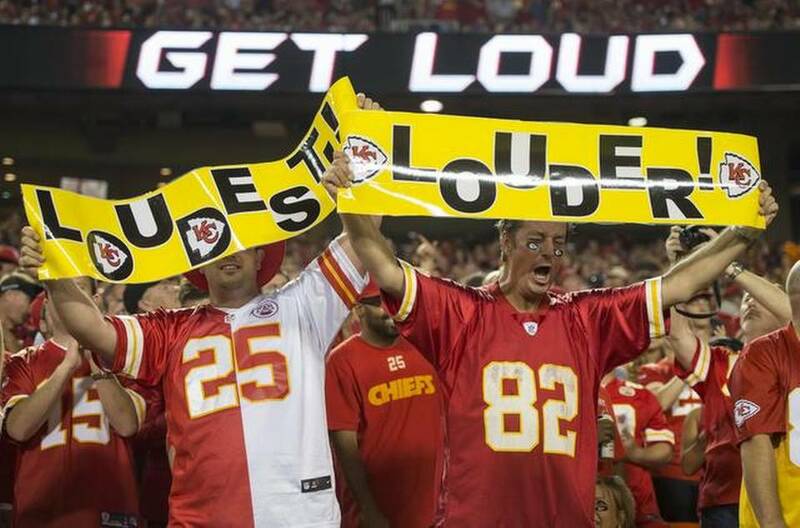 Chiefs’ fans made enough noise to register a 142.2 dbA reading at Arrowhead Stadium while playing against the New England Patriots. Vacations & Fitness – (Online Advertisement) Take Your Passion For Fitness on Luxury Adventure Vacations With Reebok Fitness Vacations by Austin Adventures – Two leading brands in the active lifestyle and fitness worlds are teaming up to offer Reebok Fitness Vacations by Austin Adventures. This partnership seems to offer a series of vacations that promote fitness as a way of life. Now you can combine two passions at the same time! Attempting to trick Jesus, a religious “expert” posed the following question. 37 Jesus replied: “‘Love the Lord your God with all your heart and with all your soul and with all your mind.’[c] 38 This is the first and greatest commandment” (Matthew 22:36-38). I believe this is the greatest passion. There’s no room to be lukewarm as a Christian. In fact, being lukewarm makes God nauseous. These are the words of the Amen, the faithful and true witness, the ruler of God’s creation. 15 I know your deeds, that you are neither cold nor hot. I wish you were either one or the other! 16 So, because you are lukewarm—neither hot nor cold—I am about to spit you out of my mouth” (Revelation 3:14-16). “Blessed are those who hunger and thirst for righteousness, for they will be filled”(Matthew 5:6). So, what’s your greatest passion? In 2015, why not cultivate a great passion for loving God, in your children and grandchildren. Break the record for loving God. Give up a favorite beverage (Starbuck’s, soda, etc.) for a month, and set aside this money for a work and witness trip or other service project. Skip the family vacation one year (or more), and instead, spend this allotted time and money towards serving at a local or global mission. Rather than wasting endless hours on social media / T.V., etc., use this time for personal and family Bible study. Purposefully reach out to your neighbors with kindness and the love of Christ. Intentionally share your faith in Christ with unsaved friends, relatives, coworkers, etc. Use your gifts and talents at your local church. Serve together as a family when applicable. Have a Happy and Fulfilling New Year…. by living a life of passion for Christ. I was thrilled when our eleven-year-old granddaughter placed a stack of mostly one-dollar bills and a check in my hand. She said, “Here’s some money that I’ve saved up for our mission trip.” Just returning from her birthday party, Ella gave me her birthday money, along with some babysitting money, etc. I could feel my heart welling up inside as I received this unexpected gift. Several weeks ago, Ella and I attended an informational meeting regarding a mission trip that our church will be taking to the Dominican Republic in June. The leaders shared passionately the love they have for all the children in this impoverished area. 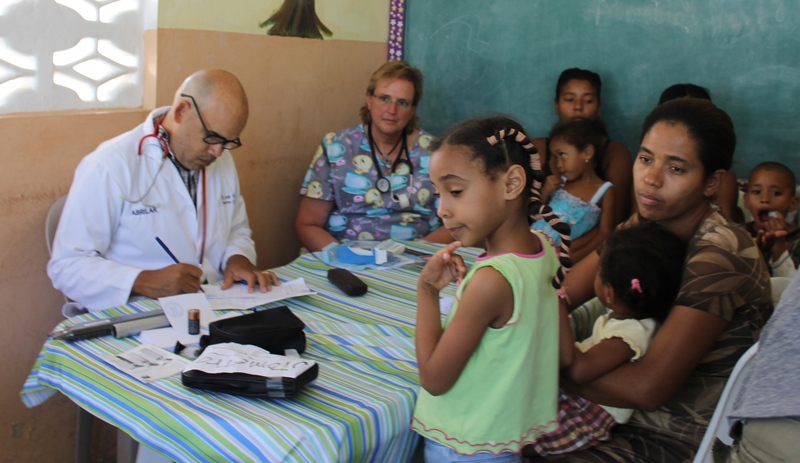 This will be Team Xtreme’s third trip to the Dominican Republic. Joining Team Xtreme, Ella and I will work on the construction of a three-story building project, and attend to the needs of hundreds of children who live on the streets in small hut-like homes. After leaving in our car from the meeting, Ella exclaimed, “Yes, I want to take this trip…but raising $14,000 is going to take a lot of time!” She originally thought this was the cost for each of us to go. (It is actually $1,400 per person). She then said, “I don’t need anything for Christmas, so I’ll just ask for money for our mission trip.” I sensed God’s pleasure in this shared moment with my granddaughter. 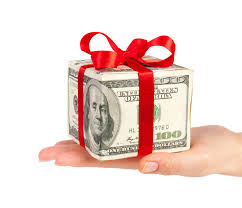 The gift of money that Ella placed in my hand was only unexpected in my mind, not in Ella’s. Ella planned to keep her vow all along. As I later began to reflect on this sacrificial gift from Ella ($96), I started to think about another unexpected sacrificial gift that was given to the world, over 2000 years ago. Although God foretold of His Son’s birth in over 100 prophecies, Christ’s birth came unexpectedly for most, but not for all. It continues to amaze me that God chose a simple peasant girl named Mary, to give birth to the Messiah, in a humble stable that was home to barn animals. Scripture states that God sent the angel Gabriel to prepare Mary for an unexpected delivery. From reading Mary’s response after the angel’s visit, we learn that she was not at all surprised when the time came to give birth to Jesus. Others who received this unexpected gift were: Joseph, the angels, and the shepherds. 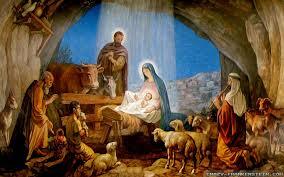 They all received the glorious gift of the Savior that starry lit night, in the little town of Bethlehem. Help me Lord, to treasure up all the unexpected gifts that you give me throughout my life, each day. I praise you and thank you, for the gift of salvation, through your Son, Jesus. And I want to publically thank you for the recent gift of money from Ella, and from others who have recently mailed us sacrificial gifts of money to go toward the cost of our mission trip. They truly are a blessing! Parents/Grandparents: Teach children to intentionally watch for unexpected gifts, and then encourage them to give thanks when they discover them. Christmas is a great time to start! And as we give thanks, along with our children, I believe that we are in some small ways, giving Jesus a birthday gift. Some gifts that we may receive throughout the year. – The unexpected gift of money for a mission trip! The greatest gift we can expect at Christmas–is JESUS…and His wondrous love. Be sure to watch for this God-given gift in unexpected ways. Then be sure to share God’s gift with those you love, and the “others” who are in need of an unexpected special gift of love this Christmas. 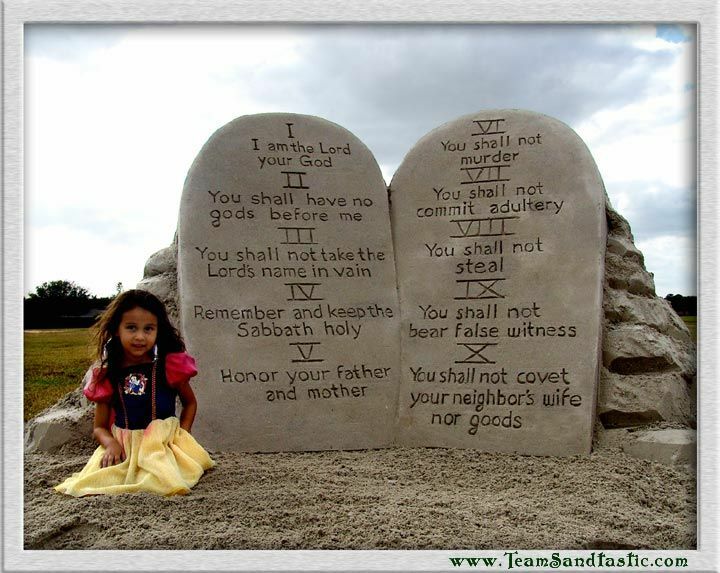 Are we training our children to keep or break the Ten Commandments? 2 “I am the Lord your God, who brought you out of Egypt, out of the land of slavery. It dawned on me after becoming a grandmother for the first time, that I had not taught my children the Ten Commandments. As a young parent, and a young Christian, I suppose I assumed our three children would learn them at church. And as I recall, they did. I was personally convicted to memorize the Ten Commandments, and soon after, displayed a Ten Commandments tapestry in our home. Looking closely at the Ten Commandments during this time in my life, I admitted to God, with a sorrowful spirit, that I had broken most of His laws. Within the next several years, I was led by the Holy Spirit to teach the children at our church the Ten Commandments, which included our first granddaughter. Where the rubber meets the road is the most important point for something, the moment of truth. An athlete can train all day, but the race is where the rubber meets the road and they’ll know how good they really are. Back to my original question: Are we training our children to keep or break the Ten Commandments? I was tempted to make a list of questions to serve as a personal check list, but instead, I’d like to challenge every parent to read/study God’s commandments and then take their own personal inventory. Okay, I can’t do it! Here are just a few questions that come to mind. – Am I putting my personal pleasures/preferences/activities ahead of God? Do I encourage my kids to do the same? Does God get left-overs? – Do my kids see me faithfully worshipping God with my time, talents, and treasures? – Do I treat the Sabbath casually, like any other day? 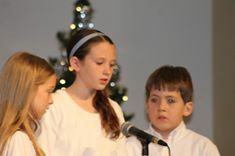 Do I allow my kids to miss our Sabbath worship observances to participate in sports or perform in their dance recitals? – How’s my relationship with my parents and in-laws? Do my children see me treating them with love and respect, in word and deed? I pray that the Holy Spirit will give parents/grandparents clear understanding of God’s commandments, and give them the desire and power to teach them diligently to their children/grandchildren; and with the power of the Holy Spirit, live them out in obedience in their daily lives. The law cannot save us. The law cannot grant us salvation. The law does define sin and can condemn us, since we all are lawbreakers. (For all have sinned…Romans 3:23) God knew that no one could keep the law. God’s law does point us to Christ. The law cannot give us salvation, but it can help us see our need for salvation, and realize that righteousness must be a gift, not something we earn. “For it is by grace you have been saved, through faith—and this is not from yourselves, it is the gift of God…” (Ephesians 2:8). Scripture also tells us that when we do sin, we have a loving and gracious Father who will forgive us. “If we confess our sins, He is faithful and just and will forgive us our sins and cleanse us from all unrighteousness” (1 John 1:9). Memory Cards: Write the Ten Commandments on index cards and laminate. Punch holes into the corners of each card and attach the cards to a key ring. Ten Commandments Plaque: Purchase or make an unfinished wood plaque. Have child paint or stain the plaque (I used a light gray paint). Print each of the Ten Commandments on the plaque and then use Mod Podge clear sealer. You can also use Krylon Metallic Textured spray paint that will give it a stone-textured look.